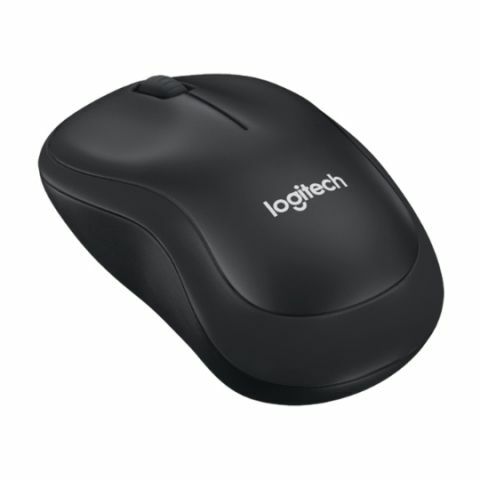 The Logitech M221 and M331 are priced at Rs. 1,095 and Rs. 1395 respectively. One of the biggest names in the PC accessories market, Logitech has just launched two new mice today. The newly launched M221 and M331 are wireless silent mice priced at Rs. 1,095 and Rs. 1395 respectively. Both mice are now available for purchase from online as well retail stores. The main feature these offer are quieter noise clicks. Logitech claims these mice are 90% quieter than normal mice and to make more quieter, even the feet are made from high performance rubber. Logitech claims that both the mice can work from up to 33 feet of distance. Today Logitech announced the Logitech M221 Silent and the Logitech M331 Silent Plus Wireless Mice, the first quiet mice ever developed by Logitech. The M221 Silent and M331 Silent Plus mice deliver the same precision, durability and “click” feel people have come to expect from Logitech, but with a 90 percent reduction in sound. “Whether you work in a shared office space or at home, even small sounds like a mouse click can impair productivity and be disturbing to your colleagues or loved ones,” said Ashok Jangra, Logitech, Cluster Category Head - India & SWA . “That’s why we created the M221 Silent and the M331 Silent Plus Mice. Our engineers studied the sources of noise made by a computer mouse and created ways to reduce the decibel level without sacrificing quality so you can focus on your work, not the noise." With the M221 Silent and the M331 Silent Plus you can work quietly without compromising on reliability, comfort and the feeling of precise clicking. The mice – which are the first in the world to receive the Quiet Mark seal of approval from the Noise Abatement Society – provide the traditional click feel, but with over 90 percent noise reduction in the sound when compared a standard Logitech mouse, so you can work in a bedroom without preventing your loved one from sleeping, or in a quiet office without distracting your colleagues. Both the M221 Silent and M331 Silent Plus provide a wireless connection up to 33 feet away thanks to a plug-and-forget nano receiver, and the mice work with Windows, Mac, Chrome OS or Linux -based computers with no hassle. Thanks to Logitech Advanced Optical Tracking, these mice are ultra-precise and work on almost every surface. The Logitech M331 Silent Plus is expected to be available at INR 1395/- through online and in select retail stores from 15th October 2016. The M221 Silent Mouse is expected to be available at Logitech.com and in select retail stores from 15th October 2016 onwards for INR 1095/.